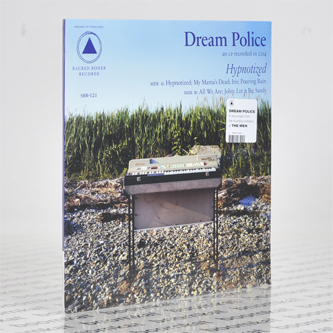 "Dream Police is an American musical production by Nick Chiericozzi and Mark Perro, the founding members of The Men. The project began in 2010 as a reservoir for ideas which had overflowed from The Men's drainpipe. In that same year, a two-song cassette single was self-released, with a follow-up live document in 2011. In the summer of 2013, The Men had just come home from five straight months of touring. For Perro and Chiericozzi, the desire to create was still strong, so they did what they used to do when they first started the band — they started jamming. Although the production began using the most conservative rock n’ roll devices, Chiericozzi suggested adding drum machine to the song “Pouring Rain,” and everything changed. Over the next six months, the two Men and their collaborator Kyle Keays-Hagerman spent countless hours reshaping every song, constructing them from nothing.They obsessed over every tone, every part. They’d spend an entire day on one snare crack. 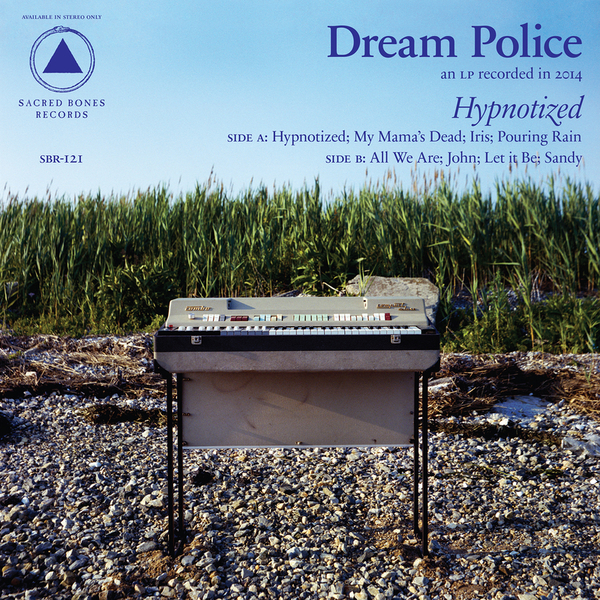 The album slowly plumed into a cloud of future primitive psychedelia bursting with glimmering electronics and cinematic, vibrato storytelling. The result of that process is Hypnotized: something borne from The Men, but free of it. It was mixed the weekend after Tomorrow's Hits was released, and then Perro and Chiericozzi were off again. 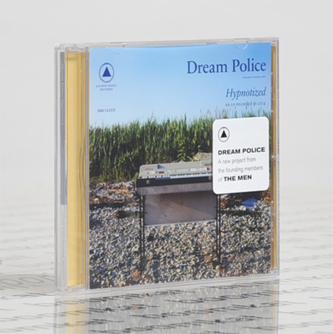 Dream Police is not a side project, rather a new realization for the original brains behind The Men's psychedelic & sonically stimulating vision."